Now this review has been a while coming….in fact, so have many of the other reads which I have ticked off my TO READ LIST. Nevertheless, as I say…It’s Never Too Late…right? Believe me when I say it’s never too late….because this statement rings so true with this particular post, as this was the very 1st time I had actually ventured into purchasing and reading an E-Book ??? ; yeah I know ⬅️That is exactly how many of your faces may look right at this moment at my delayed exploration into the world of E-Books?. What can I say, I’m old-fashioned, and I LOVE to have a hardcopy of a book in my hands, anyone else with these sentiments???? OK, so back to the book review …. 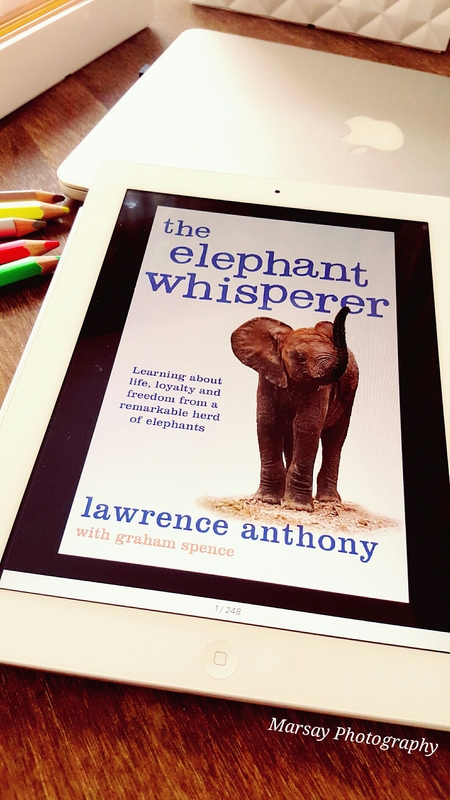 The Elephant Whisperer, was written by South African author and conservationist Lawrence Anthony along with Journalist Graham Spence. This was Lawrence’s 2nd Book at the time, after his renowned book Babylon’s Ark, the incredible wartime rescue of the Baghdad Zoo. Elephant Whisperer was 1st published in 2009. “Marsay Confession Time”? I never read books the moment the out, same applies to movies?. Being a self proclaimed Wildlife Enthusiast, it was initially the title of the book that drew my attention during my rare online shopping stint. I had a vague idea about this author and his conversation prowess, so that too did add to my Must Read book. This is a TRUE story that centers around a herd of Wild African Elephants, who have been on the verge of being shot by previous owners, due to their unpredictable and dangerous behaviour at the owners nature reserve, when they literally got re-directed into the caring arms of Lawrence. To say the least, Lawrence too had many challenges with this herd, but with his unconditional love for conservation, he struggled through his techniques of helping these HUGE, Gentle Giants, of the African Bush, to once again TRUST and ENJOY their freedom on his privately owned Thula Thula Game Reserve, in the heart of Zululand in Kwa-Zulu Natal , South Africa. From the moment he had received the Elephants, and by judging their unique qualities, he began naming them, he christened the matriarch Nana, and the second female-in-command, the most feisty, Frankie(whom he named after his wife). His staff also joined in the naming with David, His then head ranger, named the boisterous teenager among the herd, Mnumzane, which in Zulu means ‘Sir.’ He kept at the naming of each of the elephants, as well as the couple of babies. 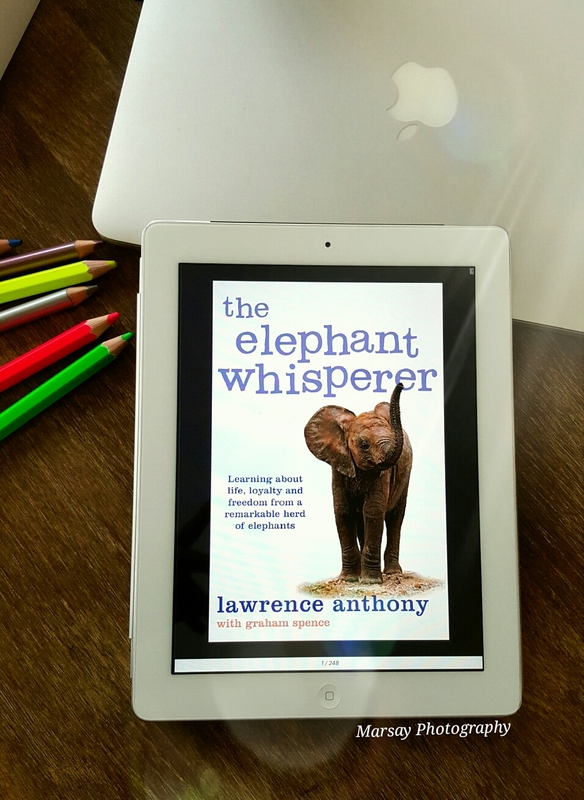 The Whisperer bit in the title, lays claim to the fact the Lawrence had a unique ability to “SPEAK” to the Elephants, he spoke to them as if he were speaking to another Human. It was amazing to read how the elephants eventually were able to trust HIM and seemed to almost understand his words. This journey had so many happy, sad, scary and tough challenges, both for the Elephants and Lawrence, that I would definitely recommend this book. I don’t like reviewing a book with too much detail about it, as I feel each reader should have their own special experience on reading a book. The beginning, I felt, was a bit slow, but as the story progressed, the book came alive, and made me feel like I was apart of that team on Thula Thula , following their journey. It makes me want to be able to silently sit, the next time I’m in the African Bush, and be able to sense and pick up on these so called Elephant Stomach Rumblings, that Lawrence spoke off, a means of Elephants being able to Communicate with each other…HOW AMAZING. Another amazing fact I learnt on research was, that on the Passing of Lawrence Anthony in 2012, the herd had actually walked many kilometres for hours to reach the old rural homestead of Lawrence they were familiar with, Thula Thula, and just hung around, seemingly in mourning of this legend. Lawrence Anthony, Pic courtsey of Google Search engine. This book took me back to Africa, and on reading it, I take away new found respect for these Gentle Giants, that teach us about Trust, Loyalty and Life. Now I have just added Thula Thula…to mine and Hubby’s travel destinations bucket list✔️? Wow!! I’m gonna read this up ASAP!! Sounds promising ?? I like reading about elephants and their behavior in the herds, so I would like to read it. thanks for the book review! Pleasure my dear, I do Hope you find it and enjoy.